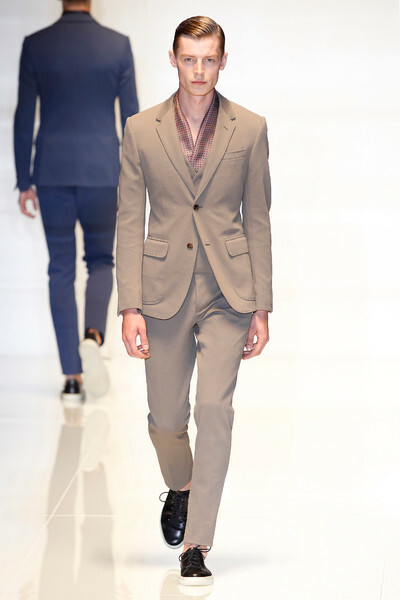 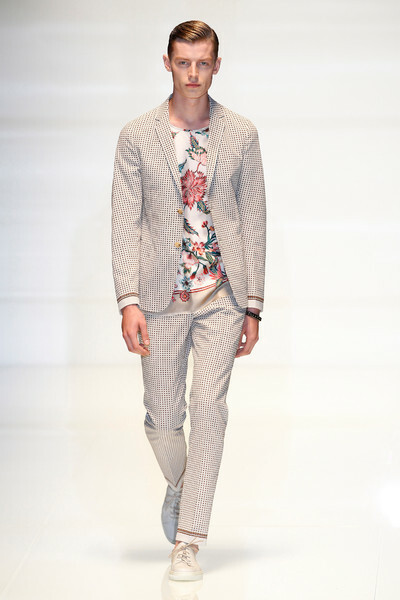 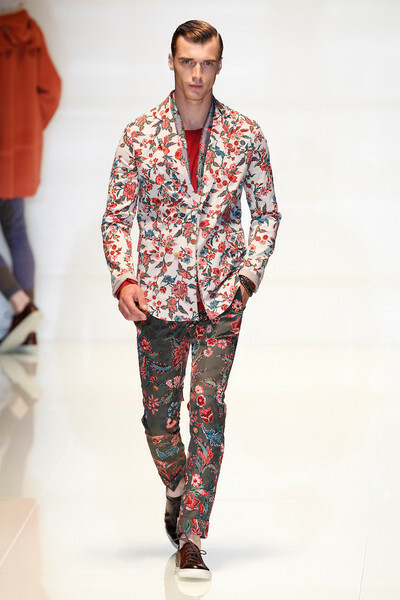 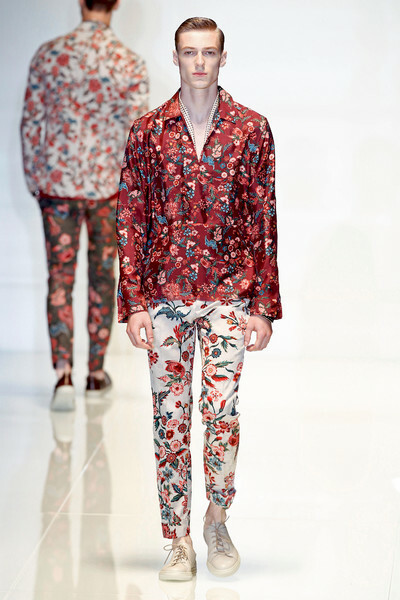 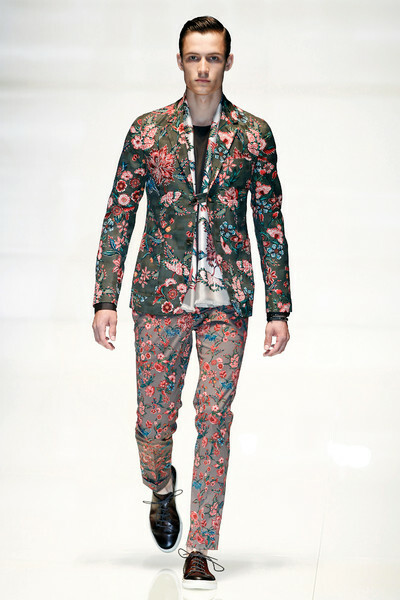 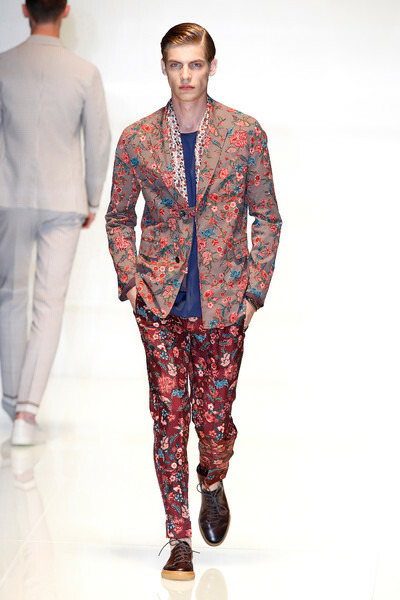 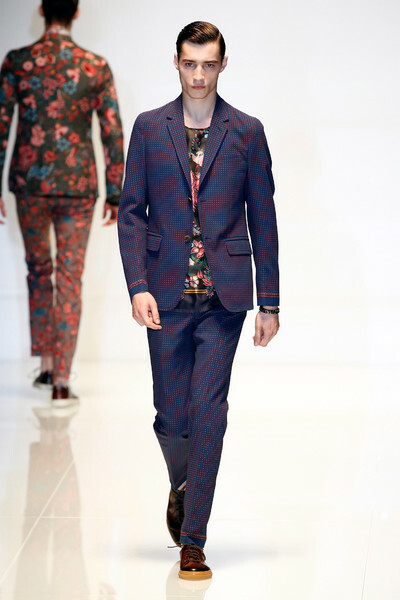 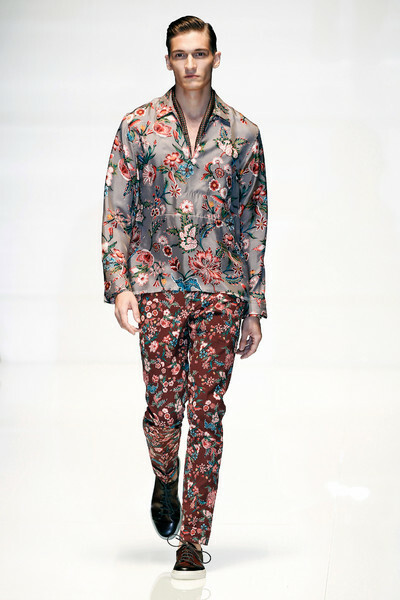 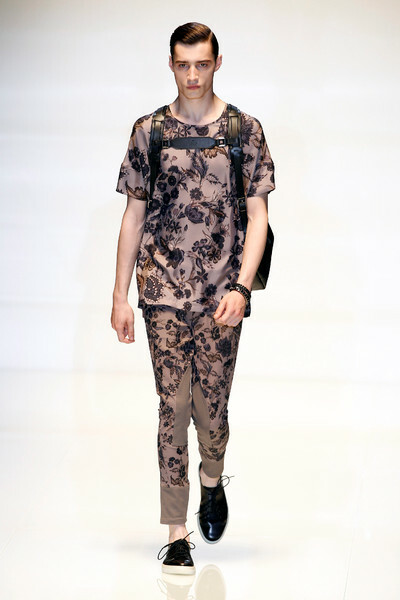 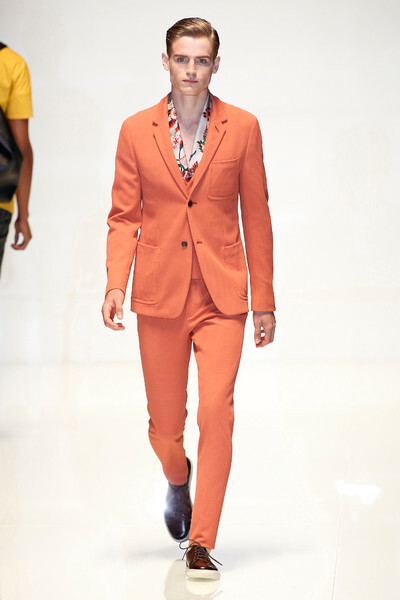 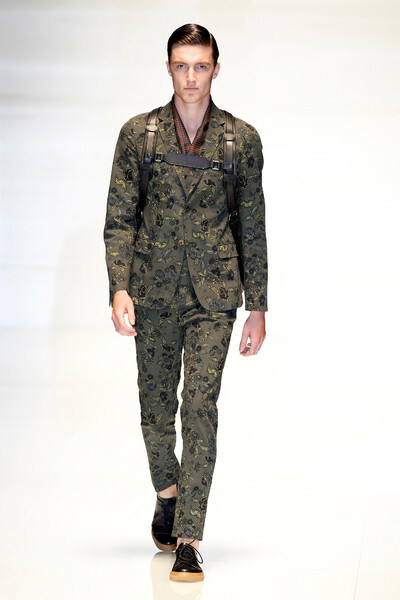 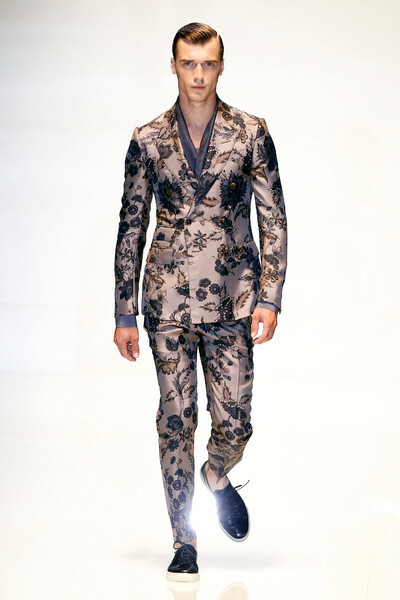 The Gucci ss2014 collection was about activewear, blending in 18th-century floral prints to make the technical side of sport less clean. 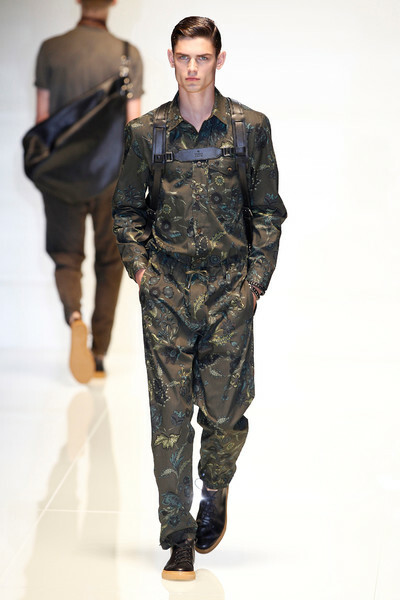 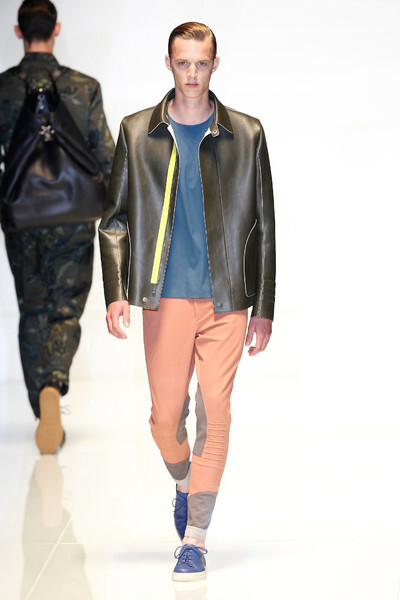 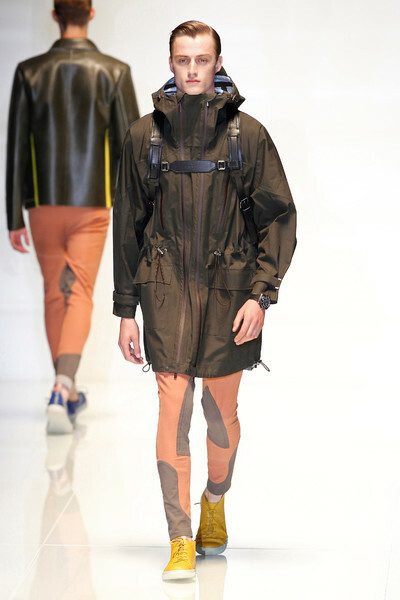 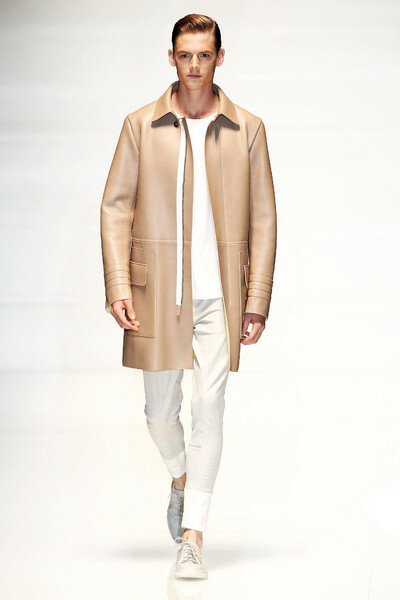 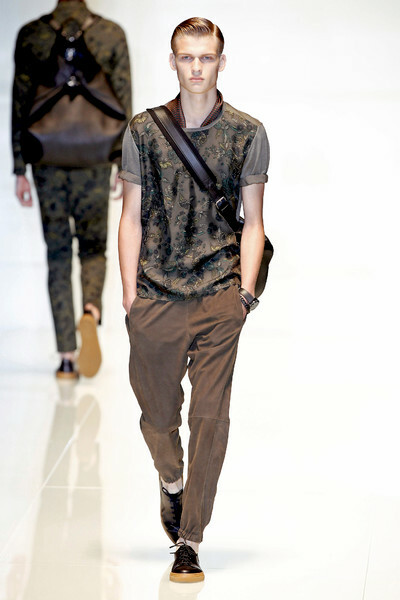 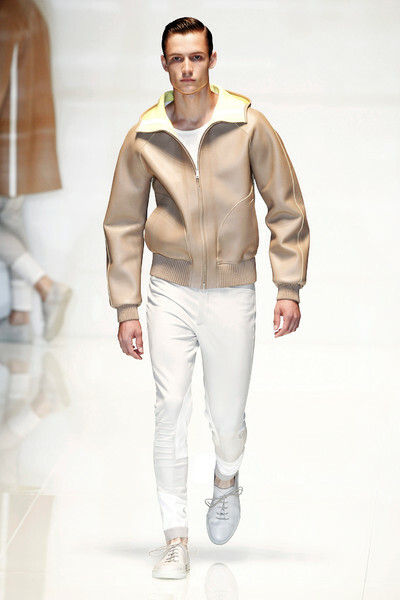 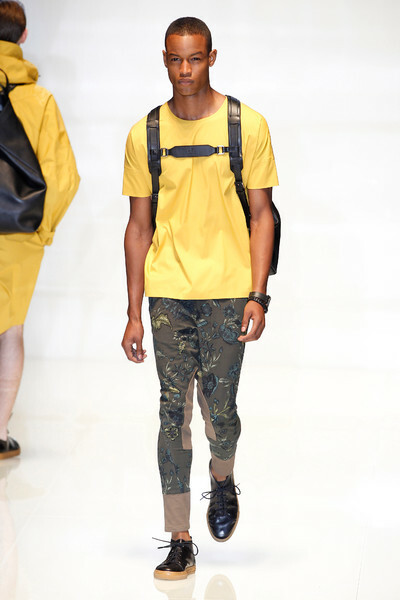 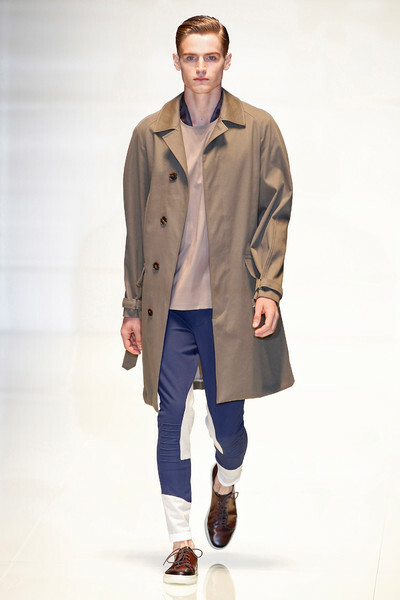 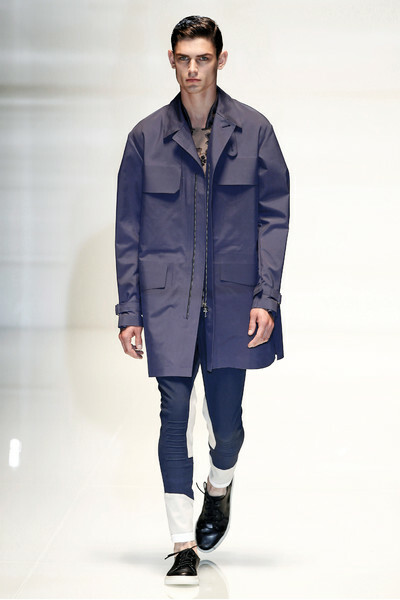 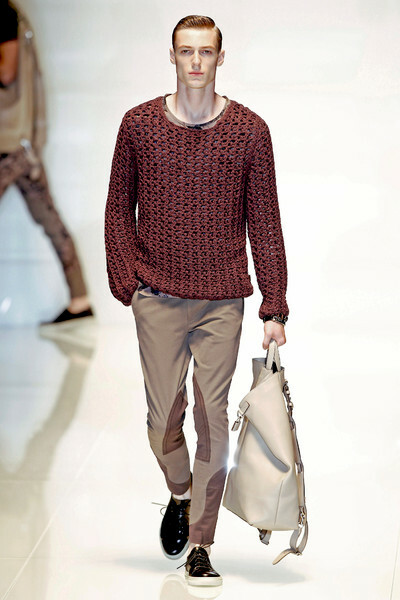 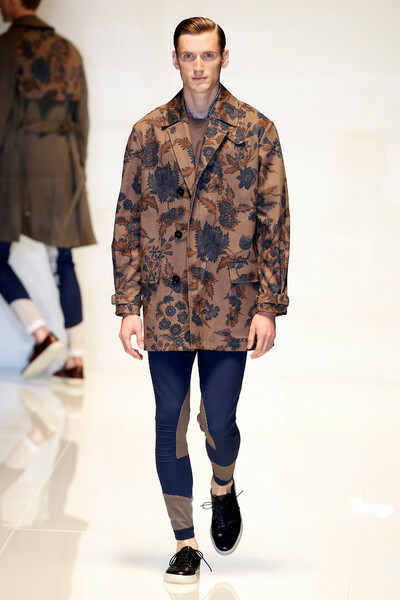 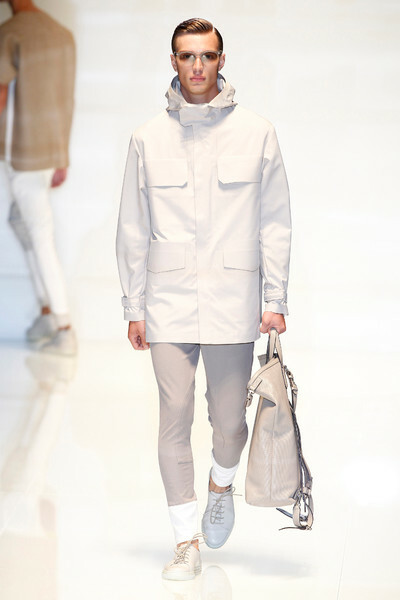 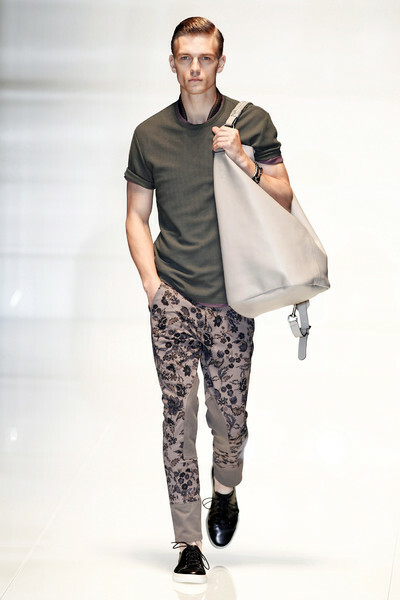 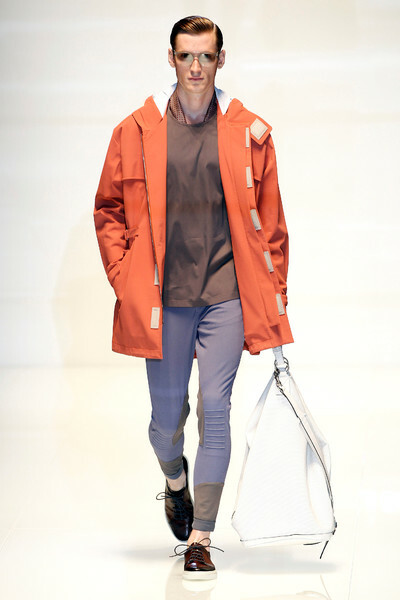 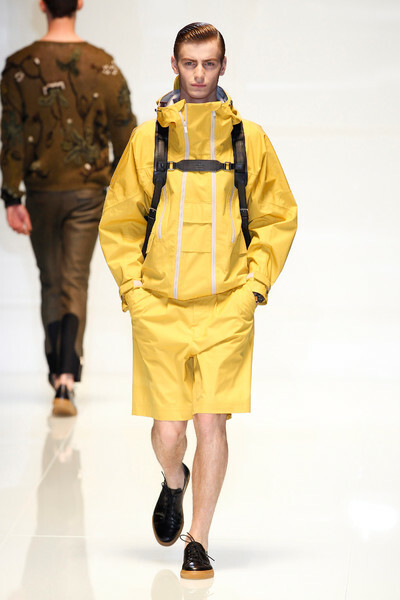 This was adventure wear for the sophisticated sportsman who carries his lunch in an oversized leather backpack; matches his safety-yellow storm coat to his Bermuda shorts; and slides his sockless feet into leather sneakers. 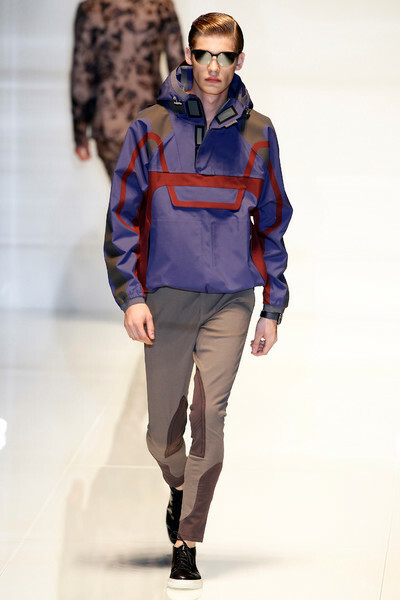 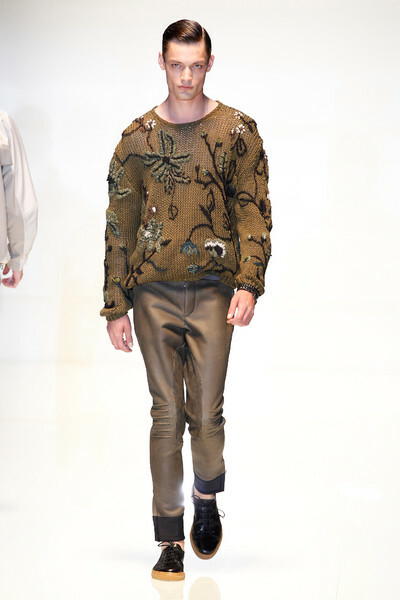 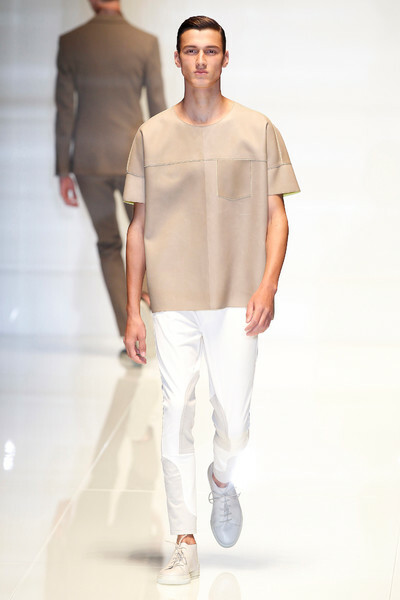 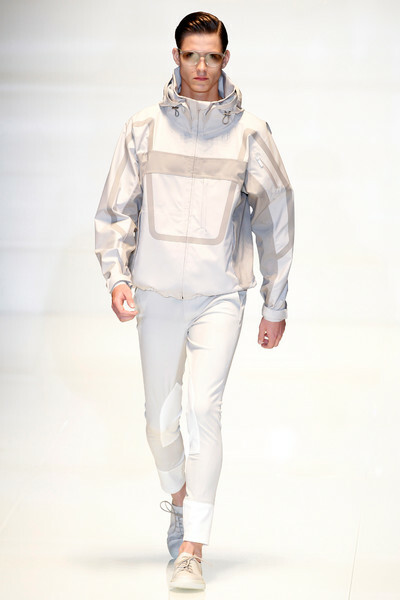 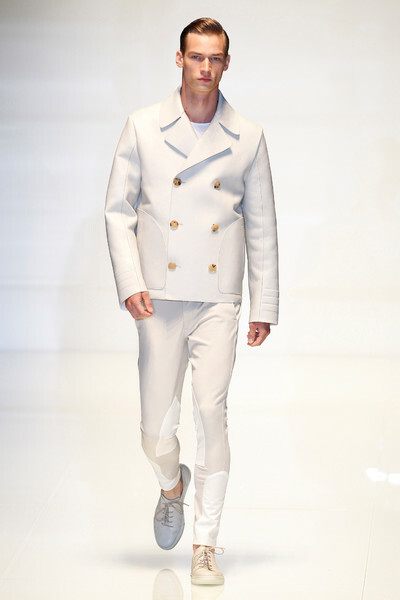 The designer employed all kinds of high-tech fabrics and treatments.